Oliver Brown specialises in top hats offering a substantial collection of beautiful antiques and contemporary alternatives. 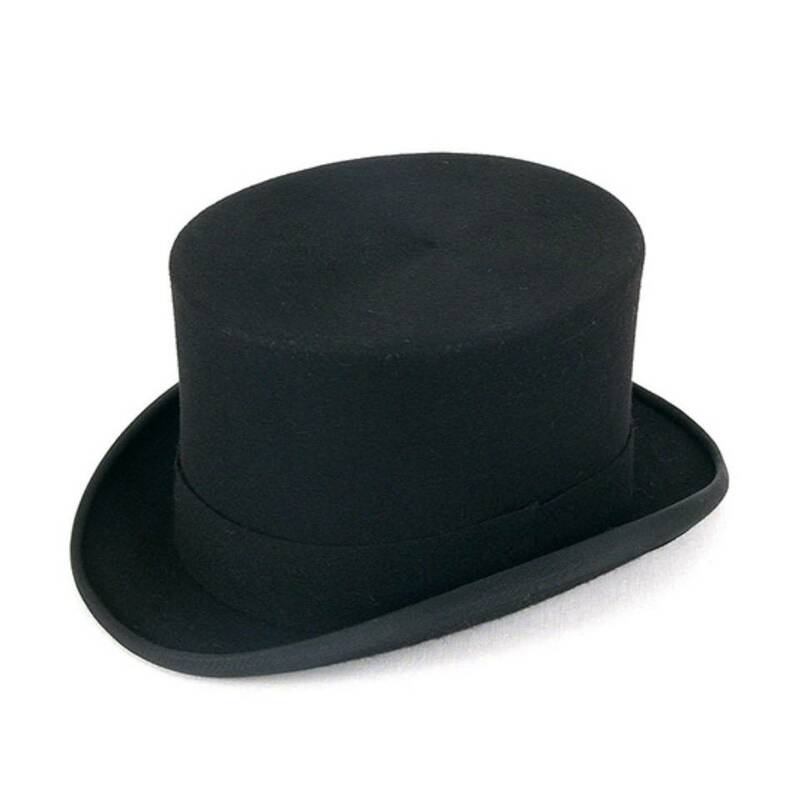 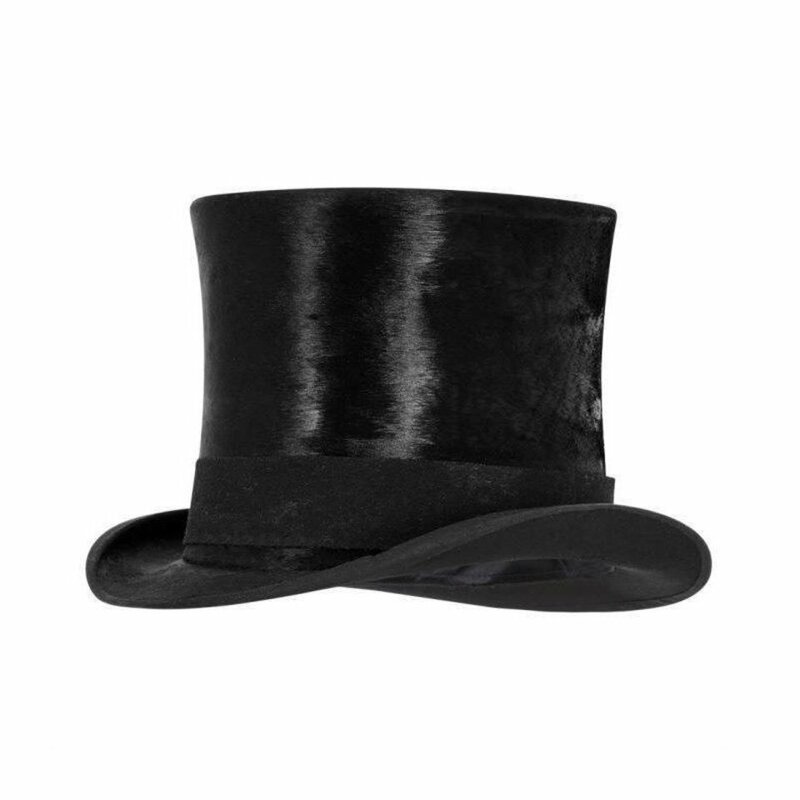 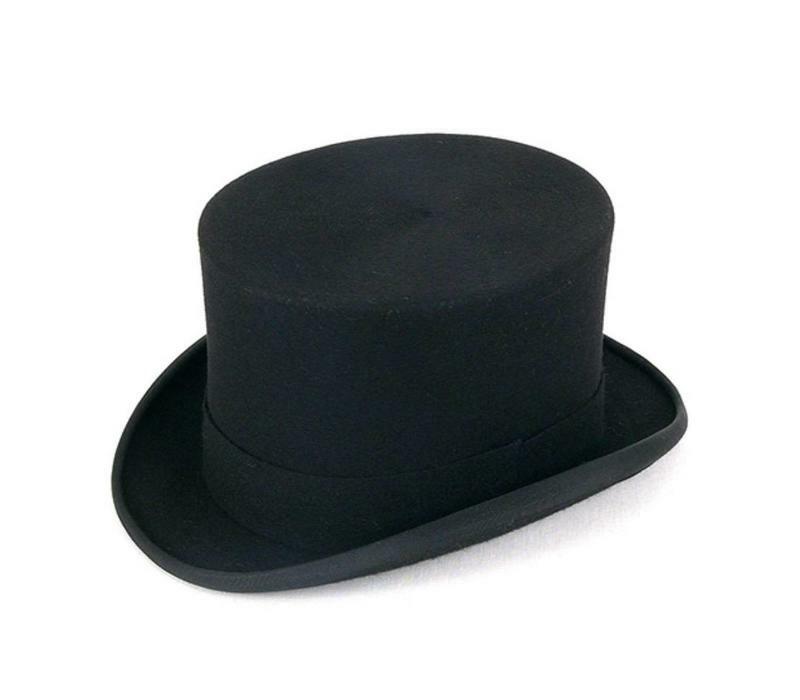 Hand-crafted of 100% fur felt, this hat is finished with a mourning band made of Melton wool and fully lined with white satin. 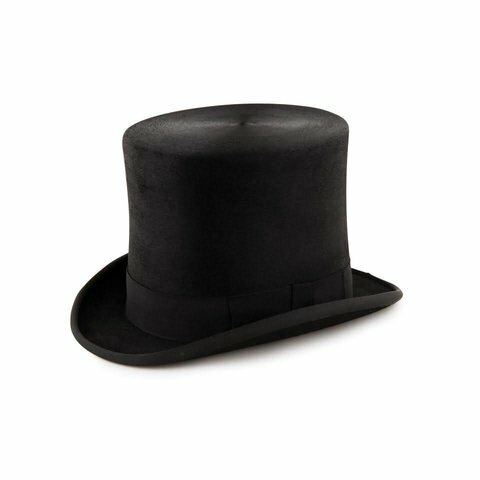 Standing at 5½" tall this hat does not have the unique polish of its antique counterparts but is a sturdy classic that will take you to all occasions.